Jeff is a French messenger from Paris, and he wanted to come and build his own Omnium in the shop in Copenhagen. So he did! 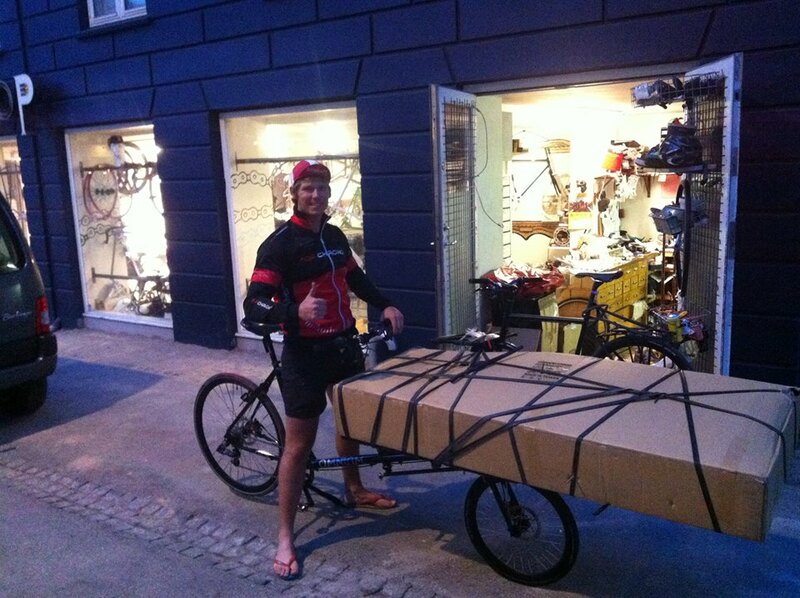 And then he raced in the Danish Cargo Champs and came 4th. Not bad at all! And now, being a strong rider, he’s going to ride his new Omnium back to Paris with ANOTHER Omnium boxed-up on the cargo rack. In just 4 days.